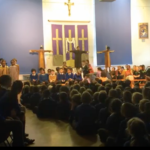 The teachers dressed as characters from the Old Testament and gave clues to the children during an assembly. 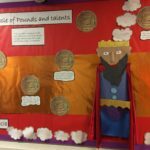 During the week the children researched the characters to find out who they were. 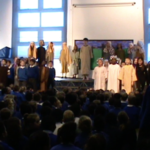 Each class also researched their own character and found out why they were an important figure in the Old Testament. 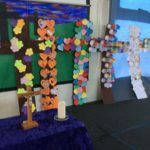 As well as the various other pieces of artwork the children produced for Easter they also designed these crosses for Stations of the Cross. 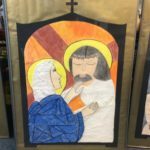 Here is a selection artwork the children did for the stations of the cross this Easter. 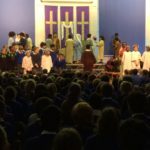 Click on the thumbnails below for a better look. 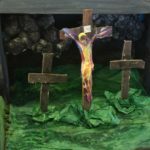 The children were asked to create their own depiction of the stations of the cross using a shoebox and here’s the fantastic work they came up with. Click on any of the thumbnails below for a better look.